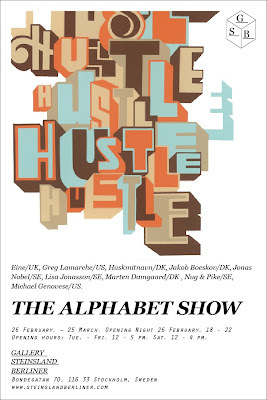 I have got some artworks in this group show at Gallery SteinslandBerliner in Stockholm. Opening Friday the 26th of February. Check out the cool artist lineup.